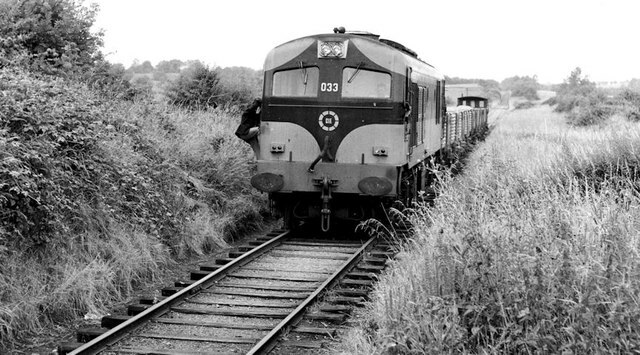 Locomotive no 033 hauling a Kingscourt – Drogheda gypsum train, composed of open wagons and brake van, stopped on the Kingscourt side of Castletown Lower level crossing. The guard is leaving the cab to open the gates. From memory the level crossings on minor roads were unattended.